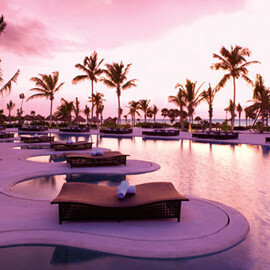 Join the party at Breathless Riviera Cancun Resort & Spa. 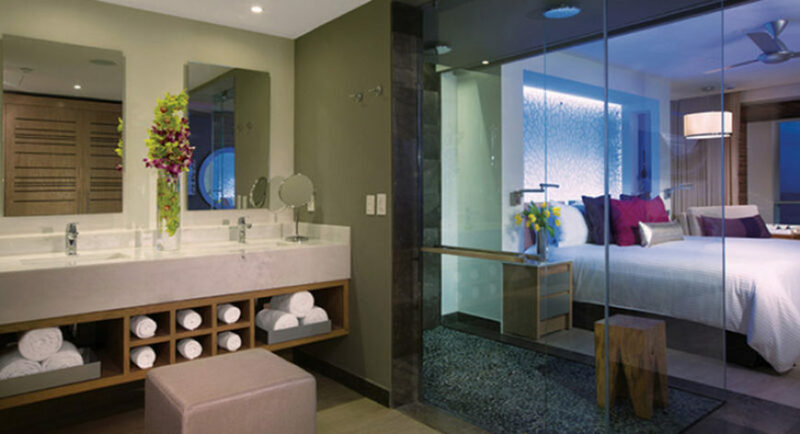 Nestled between the Caribbean Sea and the Lagoon of Bahia Petempich, Breathless Riviera Cancun is a vibrant, chic and modern all-suite resort for adults. 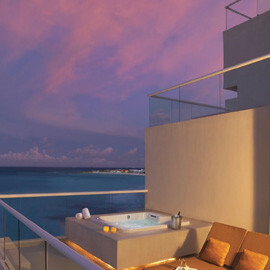 526 ultra-contemporary suites with private and scenic terraces will offer stunning tropical and oceans views. Sparkling social and party pools stud the lush Riviera Maya landscape to provide all-day entertainment and spectacular locations for Breathless Riviera Cancun’s special monthly and weekly events and parties for sophisticated singles, couples and friends. Nine chic dining venues will tantalize guests’ palates with a variety of international cuisines, while seven bars and lounges pour premium spirits all without limit, gratuities and reservations required. Breathless Riviera Cancun’s Unlimited-Luxury® experience continues with exhilarating nightlife and a vibrant social atmosphere. Mix and mingle, embrace life and find yourself enveloped in smiles and laughter, romantic whispers and flirtatious winks. 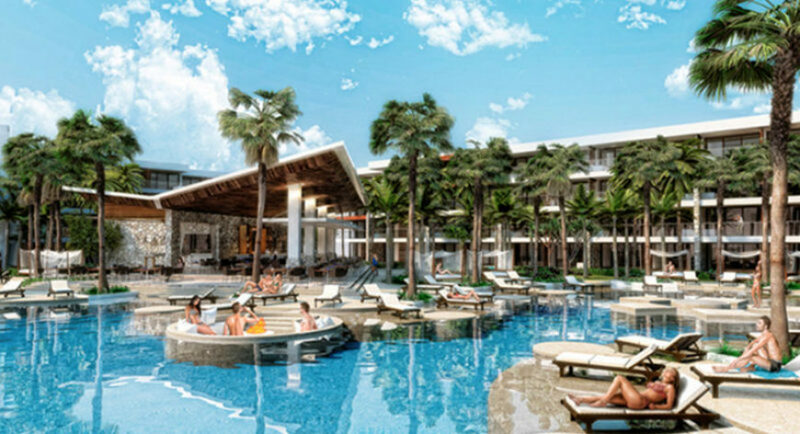 Guests will revel in a vibrant, chic and modern resort located between the breathtaking Caribbean Sea and the Lagoon of Bahia Petempich in the Yucatan Peninsula. 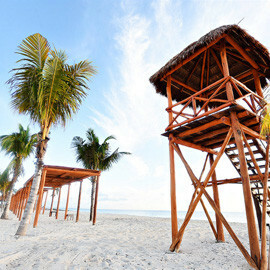 The resort is surrounded by lush tropical foliage, a white sand beach and the fresh blue waters of the Caribbean Sea. 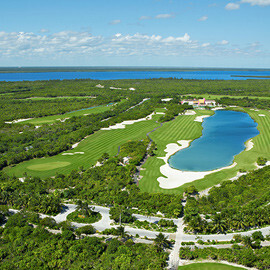 Only 15 miles away from south Cancun and 15 minutes from Cancun International Airport. 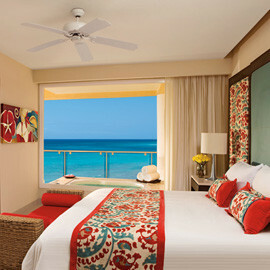 A blend of ultra-contemporary and traditional Caribbean décor adorns the 526 guestrooms in seven buildings. 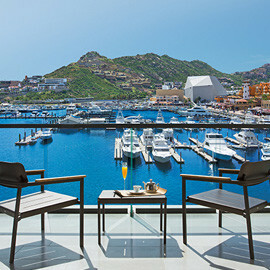 The xhale club accommodations are located in three buildings and include the highest level of personalized service and luxury and access to VIP areas throughout the resort. 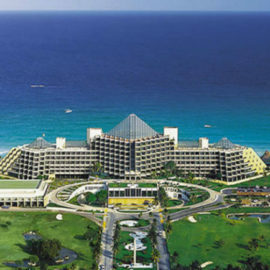 These accommodations include 22 spacious xhale club Master Suite Ocean Front Suites and two xhale club Presidential Suites. All guestrooms feature a daily refreshed mini bar and 24-hour room service. 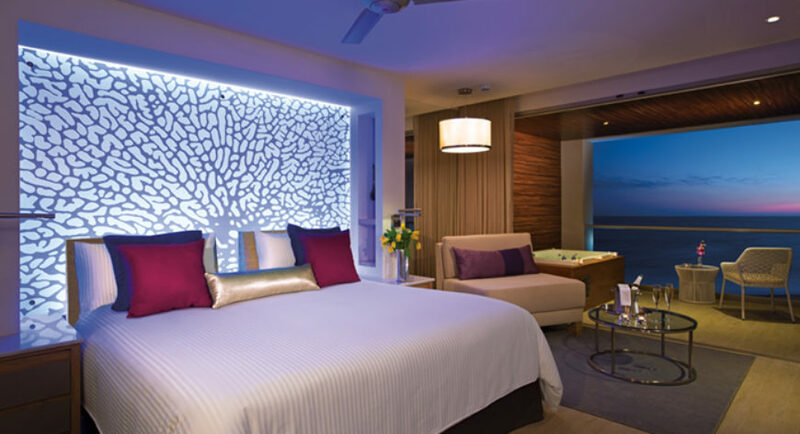 In addition to the above amenities, xhale club Master Suite Swimout Ocean View feature ocean views, direct access to a swim-up pool from their terrace, one king bed and an ultra-contemporary décor. 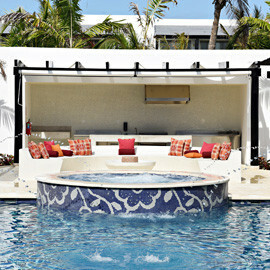 These rooms are located on the ground floor with direct access to the pool. In addition to the above amenities, the oversized xhale club Master Suite Ocean Front offers picturesque oceanfront views, a living area with sofa, separate bedroom with one king bed, a large terrace equipped with seating area, sun loungers and Jacuzzi as well as an oversized bathroom featuring two wardrobes, double sinks, rain shower and bathtub with whirlpool. Additionally, the Master Suite offers a separate guest bathroom. These rooms are located on the front portion of each building on floors 1 and 3 with direct ocean views. Connecting rooms also available in this category. 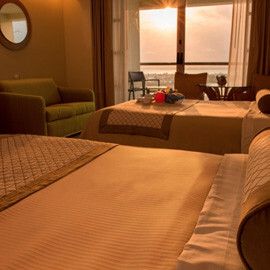 In addition to the above amenities, the oversized xhale club Master Suite Ocean View offers picturesque ocean views, a living area with sofa, separate bedroom with one king bed, a large terrace equipped with seating area, sun loungers and Jacuzzi as well as an oversized bathroom featuring two wardrobes, double sinks, rain shower and bathtub with whirlpool. Additionally, the Master Suite offers a separate guest bathroom. 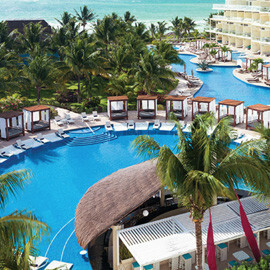 In addition to the above amenities, xhale club Jr. Suite Swimout Ocean Front Feature Ocean views, direct access to a swim-up pool from their terrace, one king or two double beds and an ultra-contemporary décor. These rooms are located on the ground floor with direct access to the pool. In addition to the above amenities, xhale club Junior Suite Swimout Tropical View feature lush tropical garden views, direct access to a swim-up pool from their terrace, one king or two double beds and an ultra-contemporary décor. These rooms are located on the ground floor with direct access to the pool. 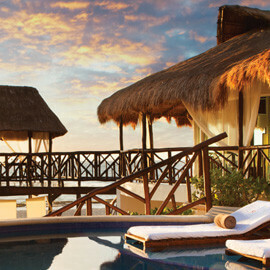 In addition to the above amenities, the xhale club Jr. Suite Ocean Front features incredible views of the ocean. These rooms are decorated in a fresh and ultra-contemporary décor and offer one king or two double beds. These rooms are located on buildings directly facing the ocean. In addition to the above amenities, the Allure Jr. Suite Tropical View also features stunning views of the lush tropical gardens that surround the resort from a private balcony or terrace. This room is decorated in a fresh and ultra-contemporary décor with one king or two double beds. 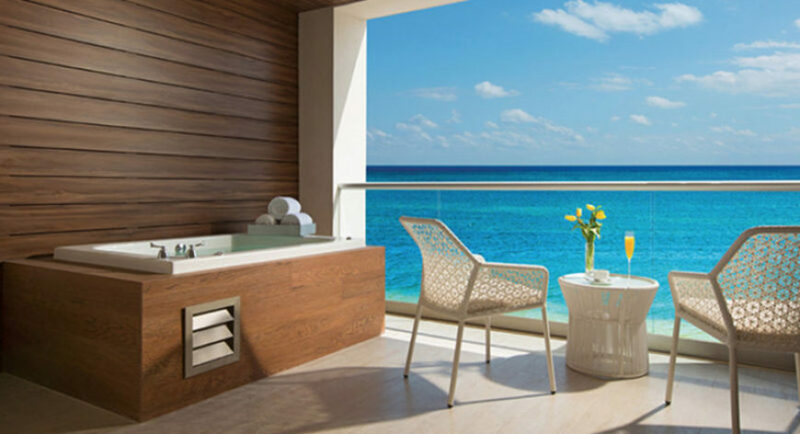 In addition to the above amenities, the Allure Jr. Suite Partial Ocean View features partial views of the ocean from the privacy of your balcony. These rooms are decorated in a fresh and ultra-contemporary décor and offer one king or two double beds. 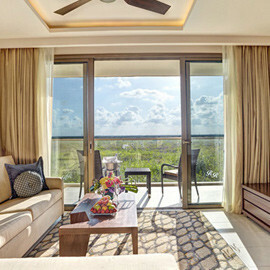 In addition to the above amenities, the Allure Jr. Suite Ocean View features views of the ocean as well as the lush tropical gardens that surround the resort from a private balcony or terrace. These rooms are decorated in a fresh and ultra-contemporary décor and offer one king or two double beds. These rooms are located on the two higher floors of some resort buildings. Front In addition to the above amenities, the Allure Jr. Suite Ocean Front features incredible views of the ocean. These rooms are decorated in a fresh and ultra-contemporary décor and offer one king or two double beds. These rooms are located on buildings directly facing the ocean. In addition to the above amenities, Allure Jr. Suite Swimout Tropical View feature lush tropical garden views, direct access to a swim-up pool from their terrace, one king or two double beds and an ultra-contemporary décor. These rooms are located on the ground floor with direct access to the pool. In addition to the above amenities, the xhale club Jr. Suite Partial Ocean View features partial views of the ocean from the privacy of your balcony. These rooms are decorated in a fresh and ultra-contemporary décor and offer one king or two double beds. In addition to the above amenities, the xhale club Jr. Suite Ocean View features views of the ocean as well as the lush tropical gardens that surround the resort from a private balcony or terrace. These rooms are decorated in a fresh and ultra-contemporary décor and offer one king or two double beds. In addition to the above amenities, xhale club Master Suite Swimout Ocean Front feature ocean views, direct access to a swim-up pool from their terrace directly facing the ocean, one king bed and an ultra-contemporary décor. 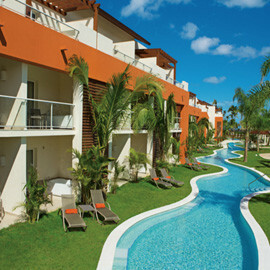 These rooms are located on the ground floor with direct access to the pool. 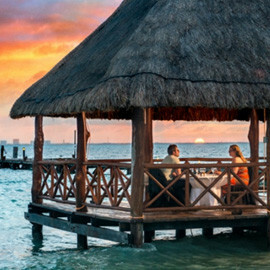 In addition to the above amenities, the spacious xhale club Presidential Suite Ocean Front offers stunning oceanfront views, a living area with sofa, a fully equipped kitchen, dining room area, separate bedroom with one king bed, a large terrace equipped with seating area, sun loungers and Jacuzzi. The oversized bathroom features a walk-in closet, double sinks, rain shower and Jacuzzi. Additionally, the suite features a separate guest bathroom. In addition to the above amenities, the spacious xhale club Presidential Suite Swimout Ocean Front offers stunning oceanfront views, a living area with sofa, a fully equipped kitchen, dining room area, separate bedroom with one king bed, a large terrace equipped with seating area, sun loungers and Jacuzzi. The oversized bathroom features a walk-in closet, double sinks, rain shower and Jacuzzi. Additionally, the suite features a separate guest bathroom. 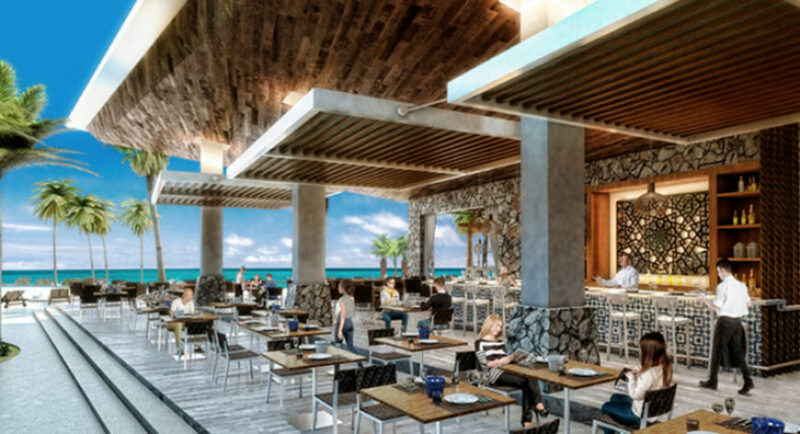 Breathless Riviera Cancun offers 9 gourmet dining options serving gourmet, trendy cuisine including 6 à la carte restaurants, 1 buffet, a grill on the beach and a café. All restaurant openings rotate throughout the week. The number of restaurants open is dependent upon occupancy level. Breakfast 7:00 a.m. – 11:00 a.m.; Lunch 12:30 p.m. – 3:30 p.m.
6:00 p.m. – 10:45 p.m. 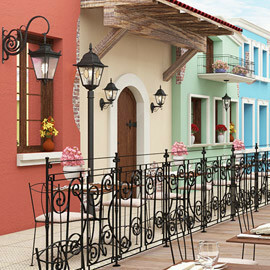 Enjoy a variety of Mexican dishes  Air-conditioned with outdoor seating available. Air-conditioned with outdoor seating available. Enjoy small plates and taste a little bit of everything at this tapas restaurant, featuring a contemporary cool atmosphere. Delicious burgers and snacks served on the beach. Open 6 a.m. – 11 p.m.
Live it up at 7 chic bars and lounges, serving unlimited premium international and domestic brand spirits. 5:00 p.m. – 3 a.m.
During the day, catch the game and a refreshing beverage at the sports bar. At night, dance the night away at the nightclub. Men area with bathrooms and lockers, 3 showers, sauna for 8 people and a relaxing area. Hours: 8:00 a.m. – 9:00 p.m. State-of-the-art fitness equipment and free weights outfit our air-conditioned gym and fitness center. 2015/2016 Selling Price: $2,799 USD August, September and October 2015/2016 Selling Price: $2,499 USD** Restrictions/exclusions: All weddings, regardless of size, must be booked a minimum of 30 days in advance of the wedding date. Subject to availability and double occupancy only. Prices and package subject to change without notice. 20% discount on spa treatments cannot be applied to spa packages or combined with any other spa promotion or offer. Once wedding is confirmed it cannot be canceled within 6 months to the date of the wedding without a fee. 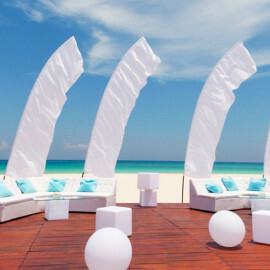 For weddings booked within 6 months of the wedding date the wedding cannot be canceled without the penalty. The cancellation penalty is $500. *Due to a government surcharge, an additional fee will be incurred. Please advise the wedding coordinator if you would like to include legal or religious services in your ceremony and all arrangements will be made accordingly. 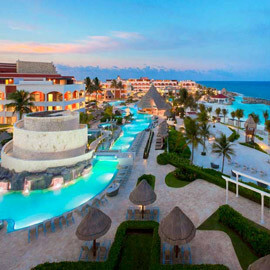 ** 2015/2016-In the months of August, September and October 2015/2016 the package price will be $2,499 USD. All remaining months of 2015/2016 will be the standard package pricing of $2,799 USD. 2015/2016 Selling Price: $3,299 USD August, September and October Selling Price: $2,999 USD** Restrictions/exclusions: All weddings, regardless of size, must be booked a minimum of 30 days in advance of the wedding date. Subject to availability and double occupancy only. Price and package subject to change without notice. 20% discount on spa treatments cannot be applied to spa packages or combined with any other spa promotion or offer. Once wedding is confirmed it cannot be canceled within 6 months of the date of the wedding without a fee. For weddings booked within 6 months of the wedding date the wedding cannot be canceled without the penalty. The cancellation penalty is $500. *Due to a government surcharge, an additional fee will be incurred. Please advise the wedding coordinator if you would like to include legal or religious services in your ceremony and all arrangements will be made accordingly. 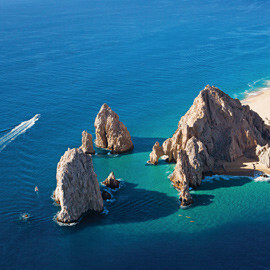 ** 2015/2016-*In the months of August, September and October 2015/2016 the package price will be $2,999 USD. 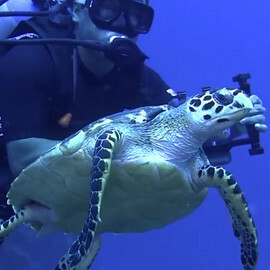 All remaining months of 2015/2016 will be the standard package pricing of $3,299 USD. 2015/2016 Selling Price: $999 USD or complimentary Restrictions/exclusions: Subject to availability and double occupancy only. Prices and package subject to change without notice. This package cannot be combined with the First Comes Love Package to receive both packages complimentary and cannot be deducted when purchasing other packages. To receive the package complimentary.it is only applicable to couples staying within three months of their wedding date. Couple must present a copy of their wedding invitation or marriage certificate at the time of check-in. Package is available to all guests when purchased at the selling price. Please contact the wedding coordinator at least 30 days in advance to confirm date availability. Terms & Conditions: Subject to availability and double occupancy only. Prices and package subject to change without notice. This package is for two people and cannot be combined with other complimentary packages or be deducted when purchasing other packages. Additional costs may apply for additional guests and optional services requested.